This was the sky on the night before Christmas, with the Moon setting and Orion rising. It was a crisp and calm night on Christmas Eve, with the waxing Moon shining beside Mars in the west at right. 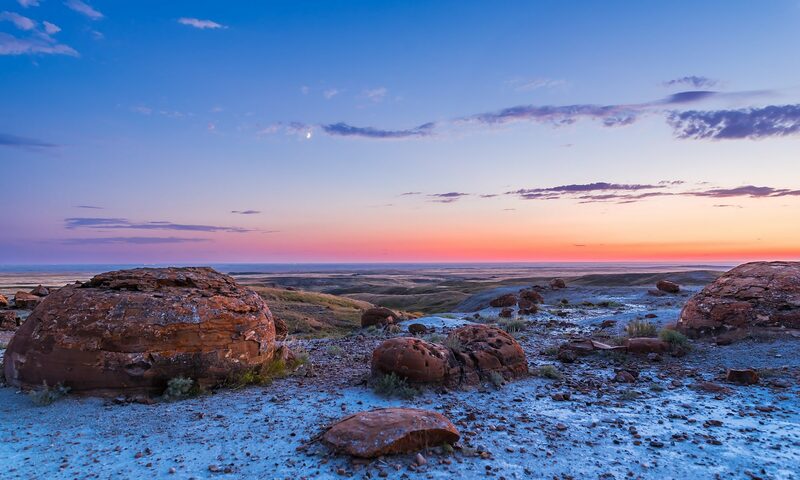 The western sky was marked by the faint tower of light called the Zodiacal Lights. To the east at left, Orion was rising beside the Milky Way. 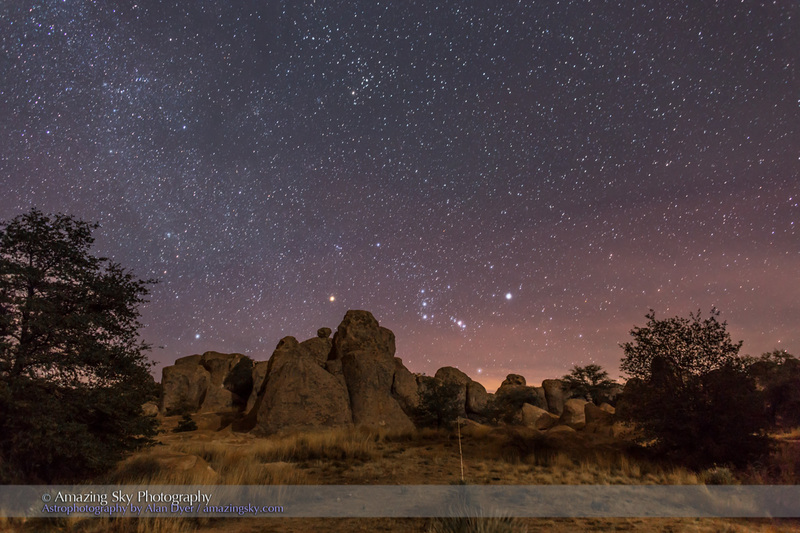 The main image is a 180° panorama taken at the City of Rocks State Park, south of Silver City, New Mexico, and a particularly photogenic site for nightscape images. 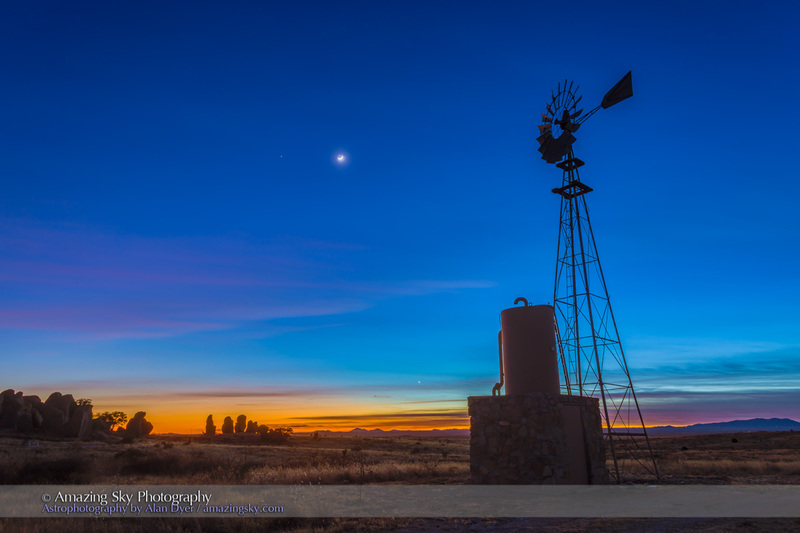 This was the scene earlier in the evening with the Moon beside Mars, and the pair well above Venus down in the twilight, all framed by one of the park’s windmills. Here is a close-up of Orion climbing over the rock formations in the state park. This is a single exposure with the foreground lit by the waxing crescent Moon.